All of the events that begin with "The Sajni Center" are held at The Sajni Center in Amesbury, MA and are put on by Lucy's Love Bus for children with cancer or life-threatening illnesses and their immediate family members only. All other events are open to the public. If you are an eligible family interested in participating in programs at The Sajni Center, please submit this request form for a special code to be sent to you so that you can register for programs! Click here to see a description of all Sajni Center programs! 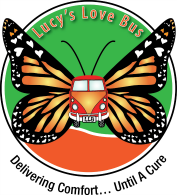 Please note that Lucy's Love Bus is unable to offer refunds for events held at The Sajni Center; if you are unable to attend, your payment will be considered a donation to Lucy's Love Bus. We do keep a waiting list for each event, so please let us know if you will be unable to attend, even if it is last minute. Please email Beecher@lucyslovebus.org.